Inspired by combining classic Auburn, Delahaye and Bugatti* styling, the Bugnaughty incorporates the timeless designs and features of the world's most beautiful cars onto a single platform. The original 1929-’36 Auburn Boat-tail Speedster body designs came from Alan Leamy and Gordon Buehrig’s unheralded clay modeler Vince Gardner. Chip Foose designed the fiberglass body for Deco Rides in 1999. The fully enclosed "pontoon" fenders were inspired by those originally appearing on a 1935 Type 135 Figoni & Falaschi Delahaye. They are from the Generation Two Deco Rides boat-tail kit. The steel grille and shell are replica 1937 Type 57S Bugatti capped off by a beautiful Hispano Suiza "flying stork" reproduction hood ornament. The rocket style taillights are 1937 Hudson hood ornaments turned around 180 degrees to face backwards, a fitting sculpture to capture both elegance and sense of speed. The eight custom tailpipes splaying out beneath the two rear "wings" hints at the Bugnaughty's performance possibilities. 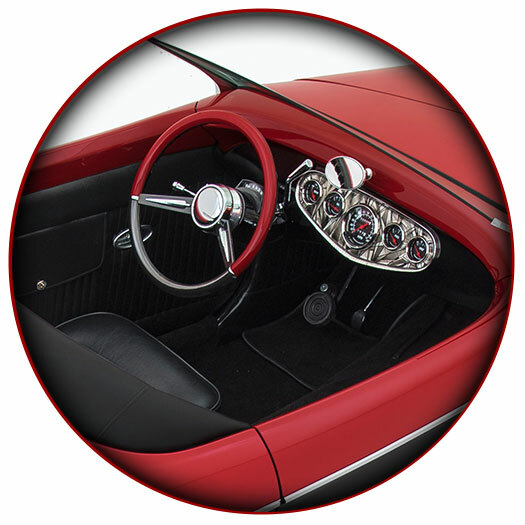 The car respectfully pays tribute to the Bugatti* name, and the timeless styling of Figoni & Falaschi. The sweeping, hand hammered steel trim that gracefully embraces the fenders was crafted by Tommy Caruso of Contour Metalshaping and Mark Barton of The Panel Shop. 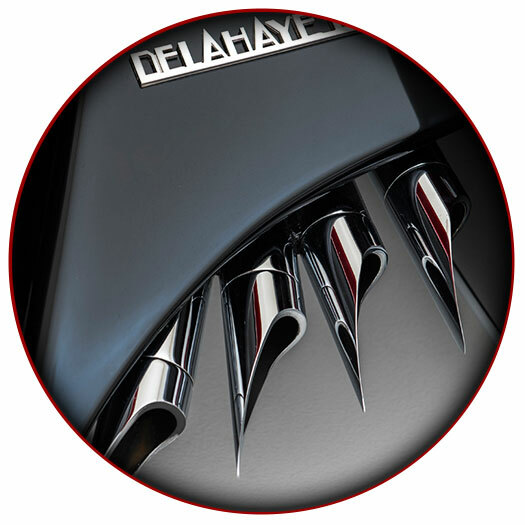 Inspired by Geo Ham and Guiseppi Figoni, Terry Cook of Delahaye USA combined and designed the entire package. The Bugnaughty rides on a 127 inch wheelbase rectangular steel frame. It utilizes an independent front suspension with a 9-inch Ford rear end with disc brakes. Adjustable air shocks are used in the rear to raise and lower the car, and coil over shocks are utilized on the front suspension. The engine is a 302 cubic inch Ford V8 with a C4 automatic transmission. Power steering and brakes are standard. The car was built and painted by the four Brown brothers of Brown’s Metal Mods over a four year period. Genuine kid glove leather makes up the seats, bolsters and doors, combined with deep, luxurious wool carpets. 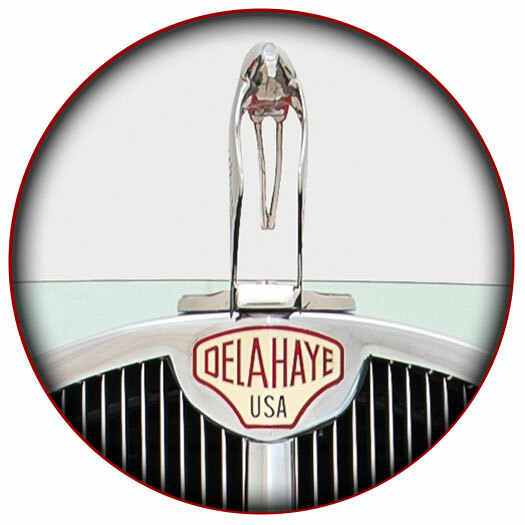 The unique dash insert by Don “The Egyptian” Boeke was designed in the Cubist style of early Impressionism. 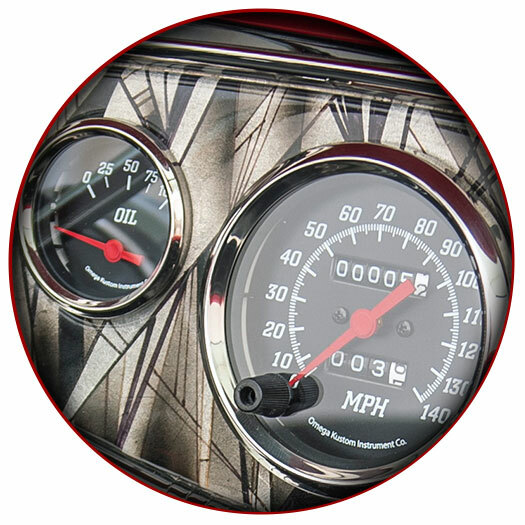 It is one of many details that give the sparkle to this one of a kind automobile.